The most cited issue was “Dealing with a high number of small jobs.” You can expect this kind of bottleneck after a new technology is installed. 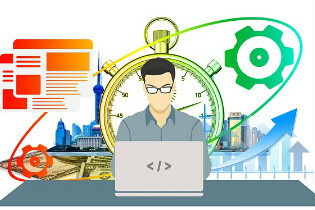 It happens often as web to print workflows allow customers to reorder faster and easier with a click of a button on their computer or mobile device. The second bottleneck was “Customizing the workflow to our needs.” This can happen because the company may try to use the new software like the old software, which actually reduces the scope of the benefits. A better solution would be to change the process to take advantage of the new and improved workflow. Another struggle was “Working with old systems.” Although the goal of a new automated system is to eliminate the older systems, there is often a unique product or customer that requires continued use of the old system. This is a cost issue – when the cost of one feature is considered too high for a limited usage. Next on the bottleneck list was “Training and managing multiple workflows”. A lot of companies in the print industry limit training to what is offered during the initial installation by the manufacturer. But they forget that staff come and go, and new staff didn’t get the initial training. A productive solution would be to reevaluate training a year after a new installation. You have to take into account that new workflows almost never achieve their full potential quickly and some never do. There are wide range of reasons that create gaps between the potential benefits and the actual benefits. You need to watch out for issues and bottlenecks and try to fix them as effectively as you can.